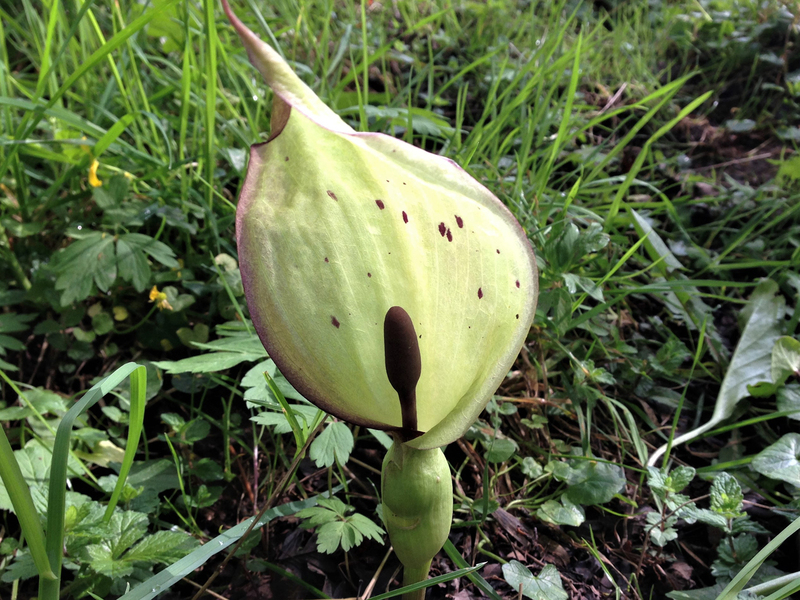 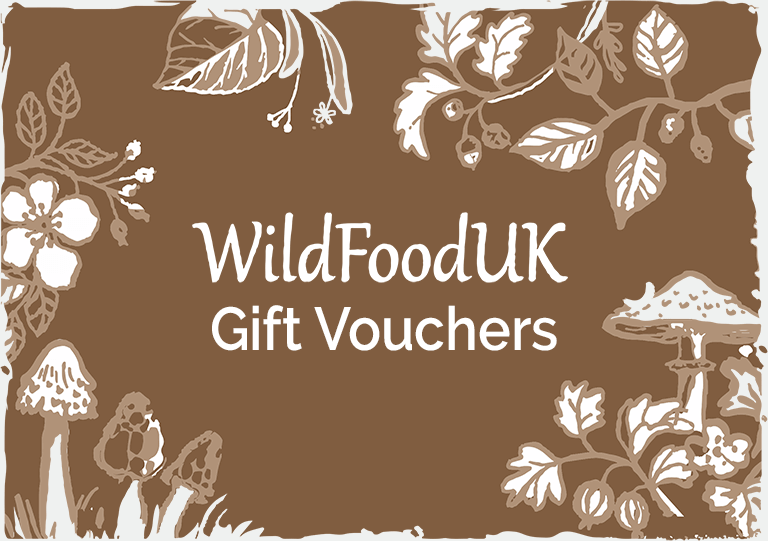 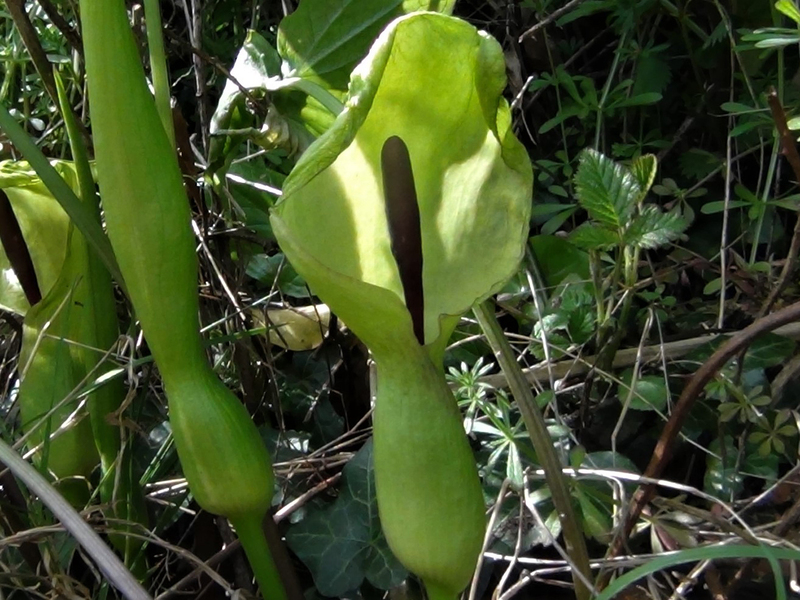 Lords and Ladies, Devils and Angels, Adam and Eve, Cuckoo-pint, Snakes Head, Arum maculatum. 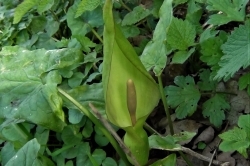 The 'flower' of Lord and Ladies. 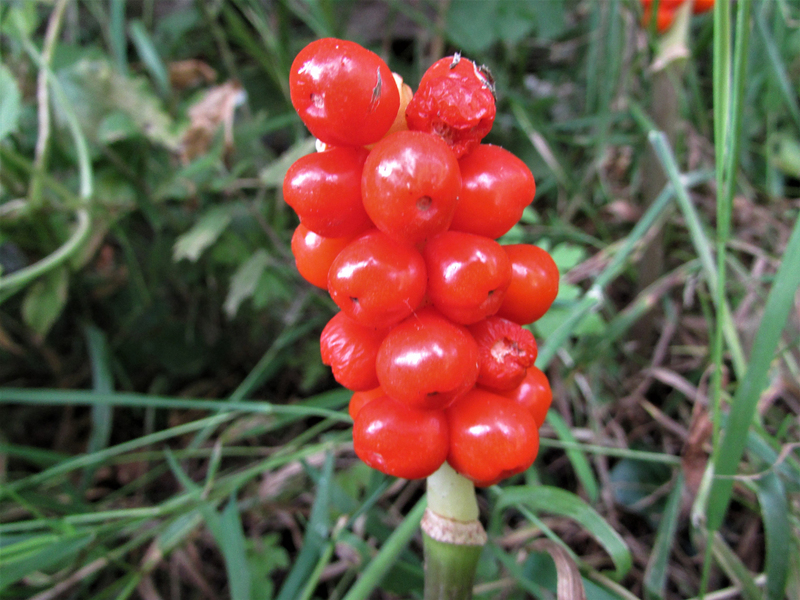 Very common and while not strictly poisonous they contain oxalate crystals which are very sharp and can penetrate and irritate skin for a long time and if consumed can cause the throat to close. 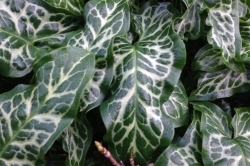 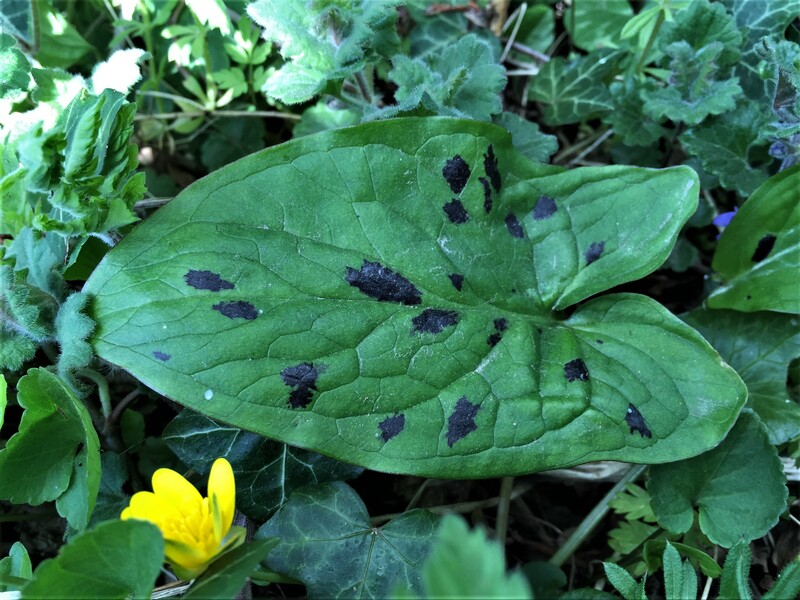 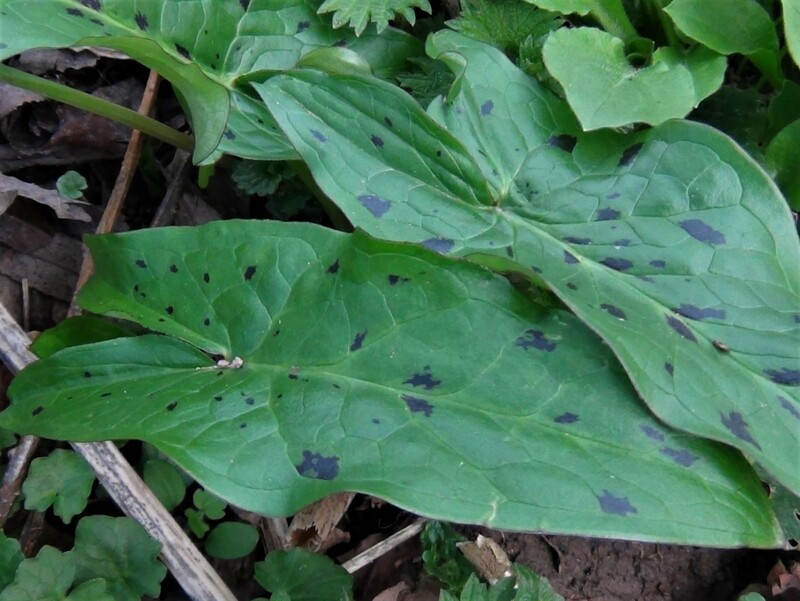 Large, shiny ‘arrow’ shaped leaves that are dark green but can have black or purple spots. 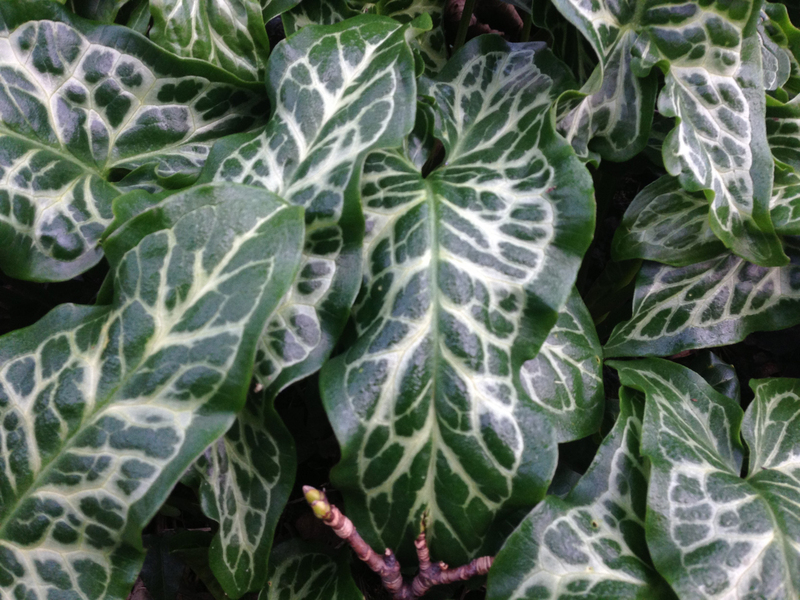 Tiny and hidden within the base of the beautiful ‘cobra’ like hood. 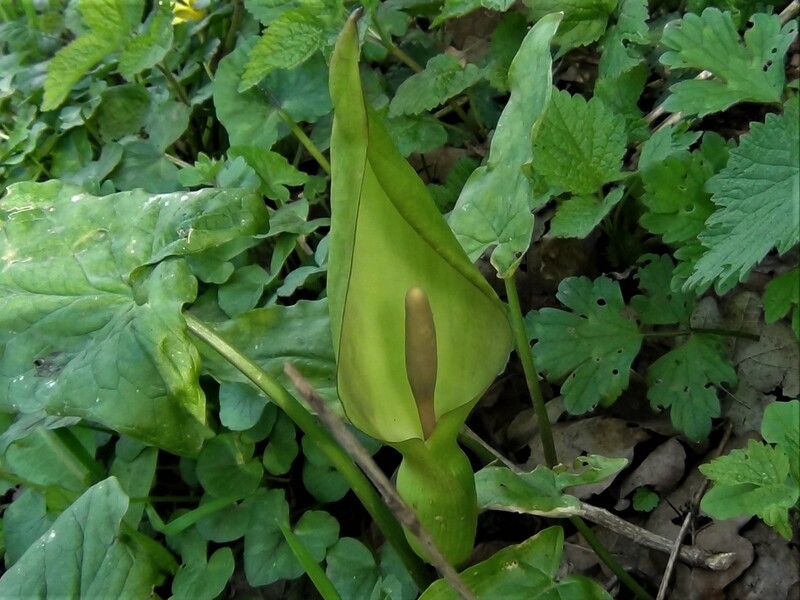 Arum flowers in Spring. 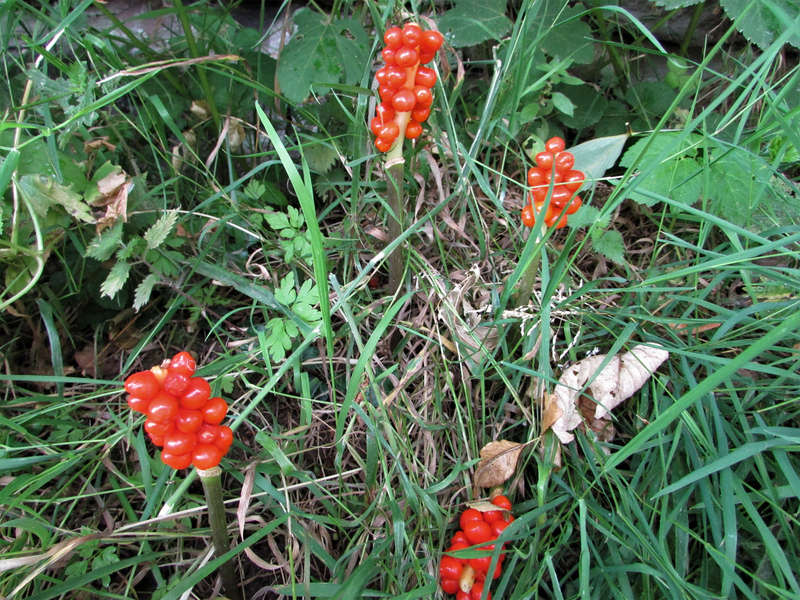 The berries appear in Autumn, are dark orange to red and grow in a cluster on the erect flower stalk. 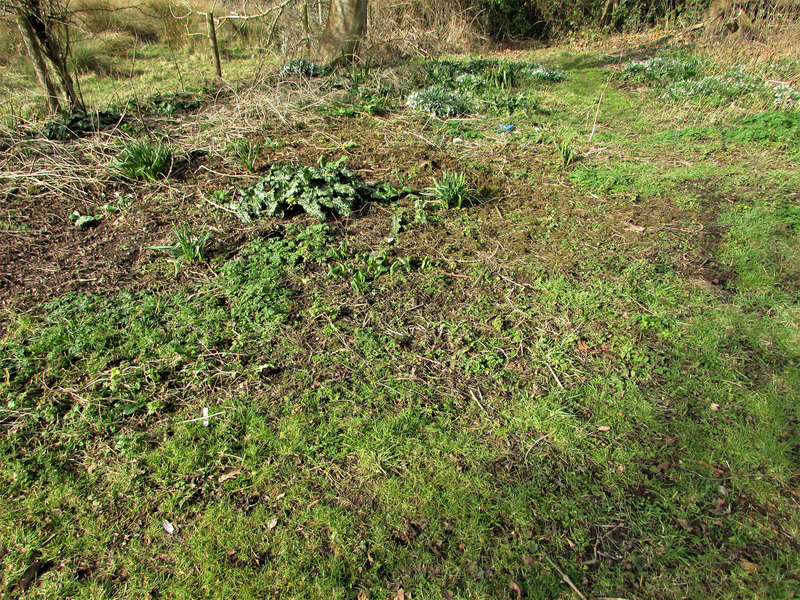 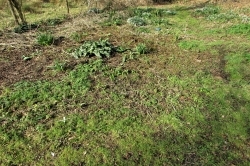 Anywhere shady, particularly hedgerows and woodland although it can be found in fields and gardens in the open. 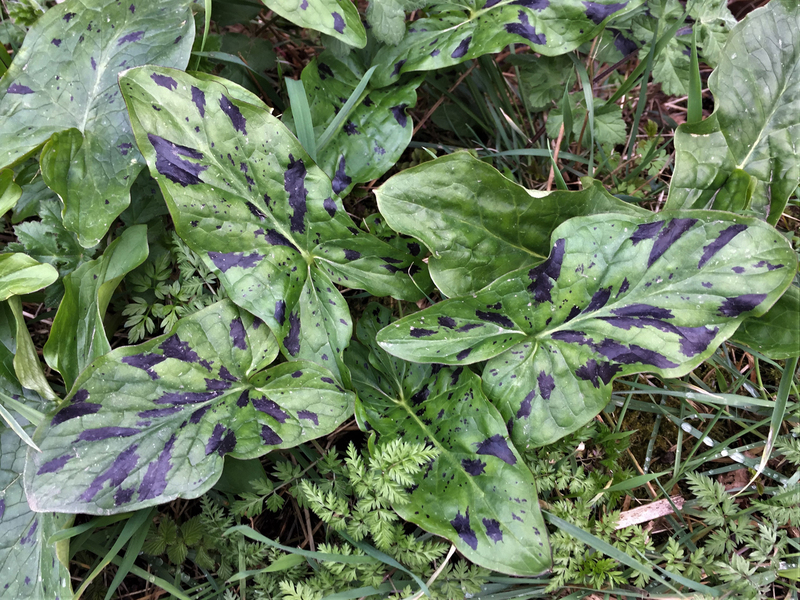 Arum italicum, pictured, is almost identical but has green and white variagated leaves. 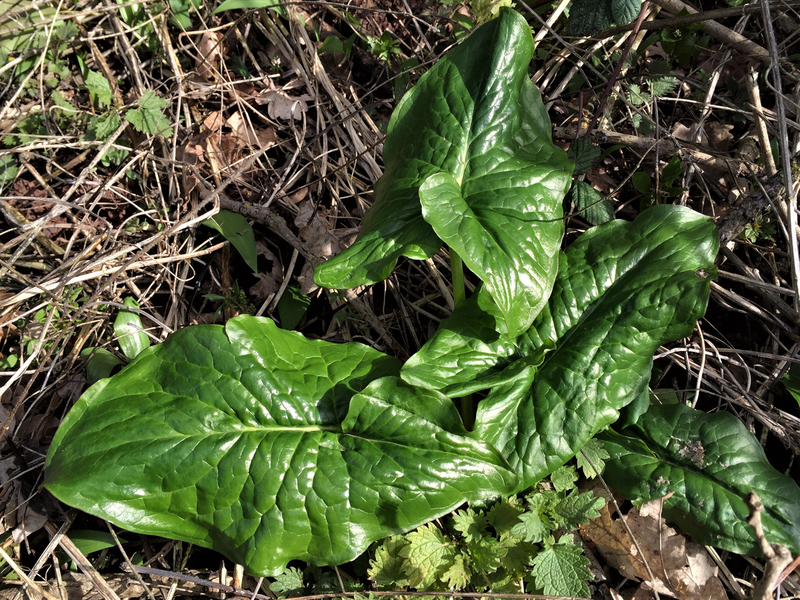 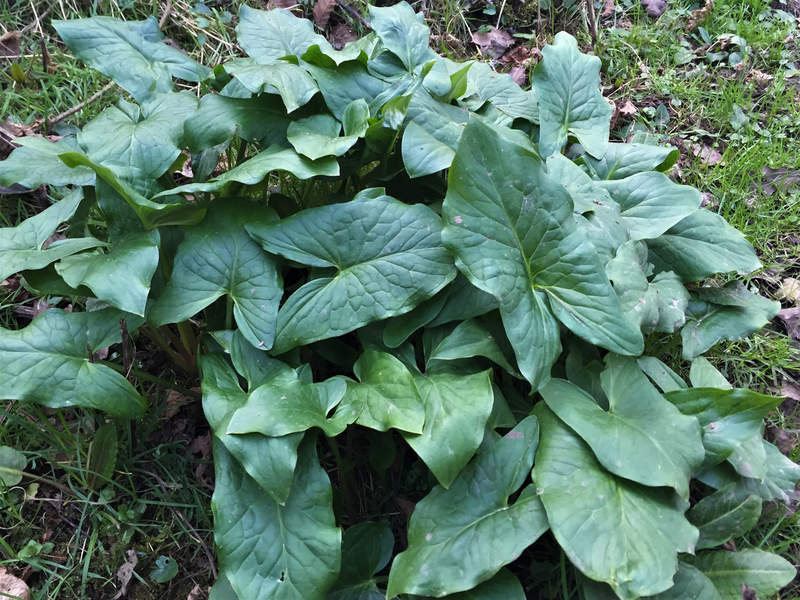 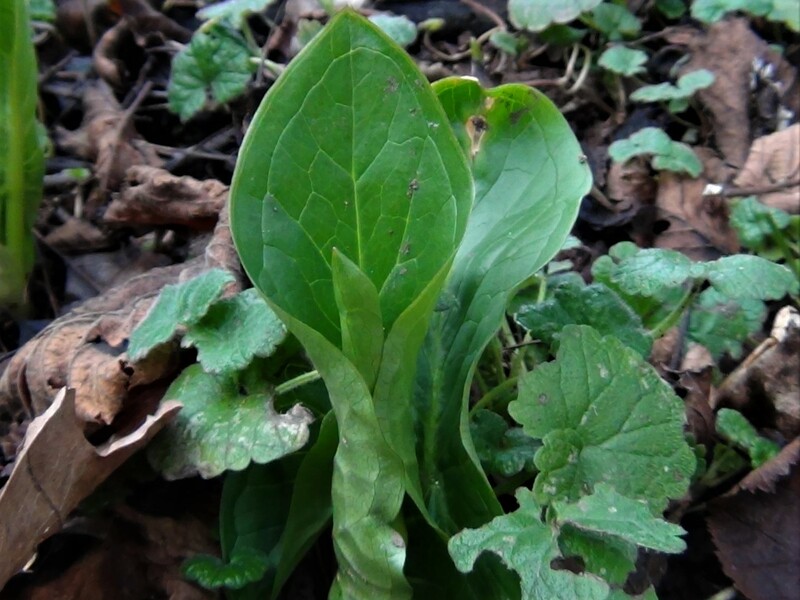 Can be confused with Common Sorrel but the base of the arrow shaped leaves is pointed in sorrel and rounded in Lords and Ladies. 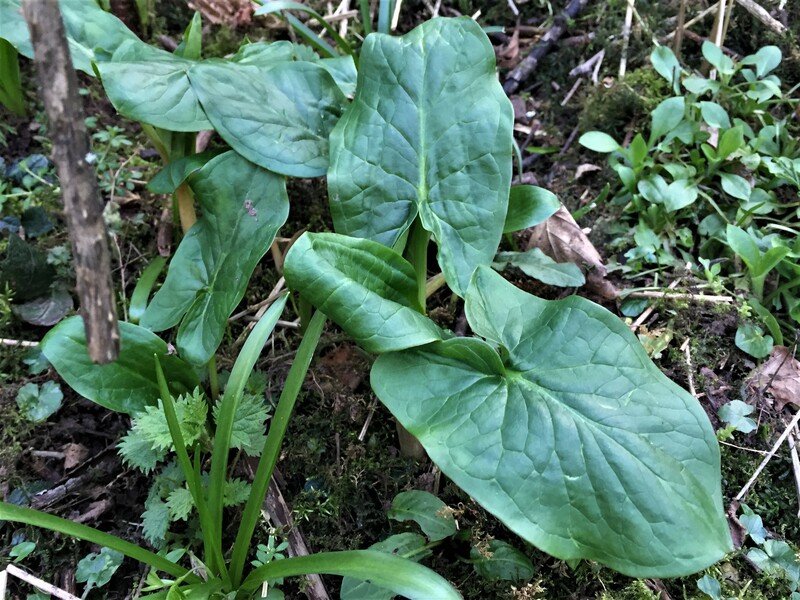 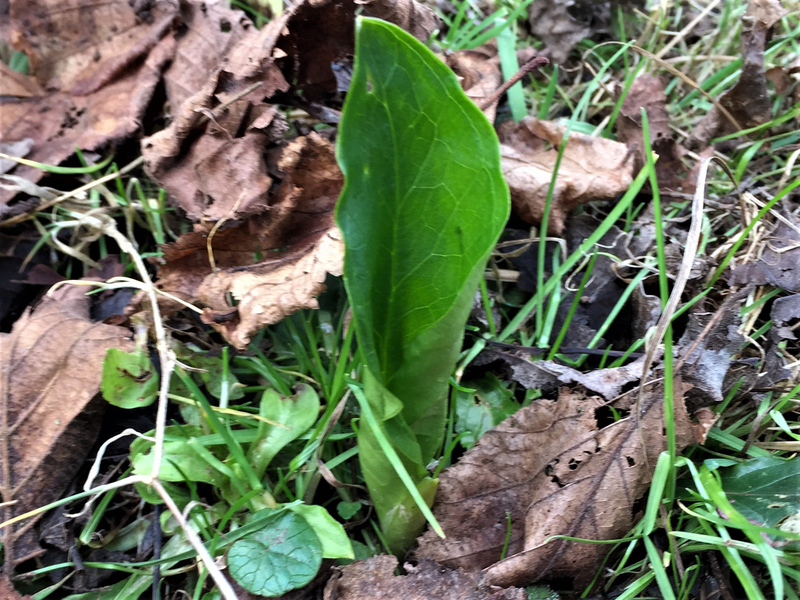 When young Lords and Ladies looks like and often grows among Wild Garlic. 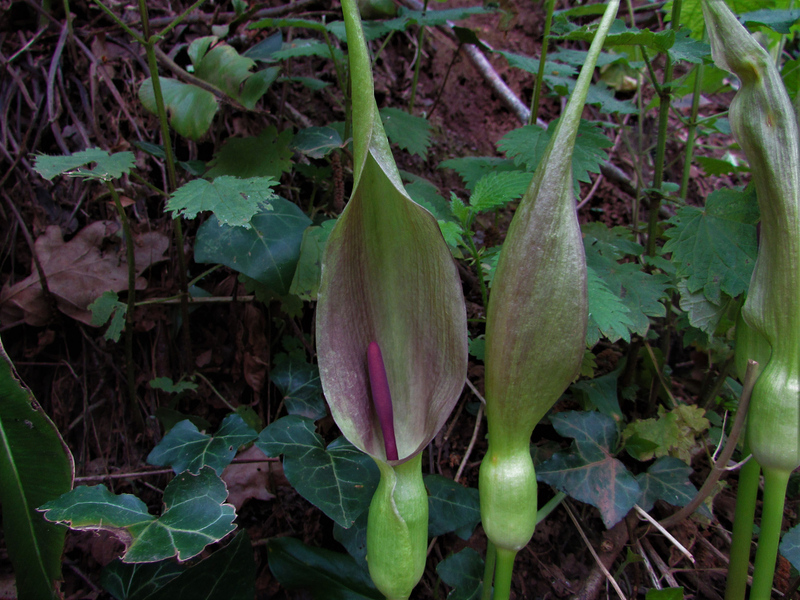 Smell is the safe way to distinguish the two. 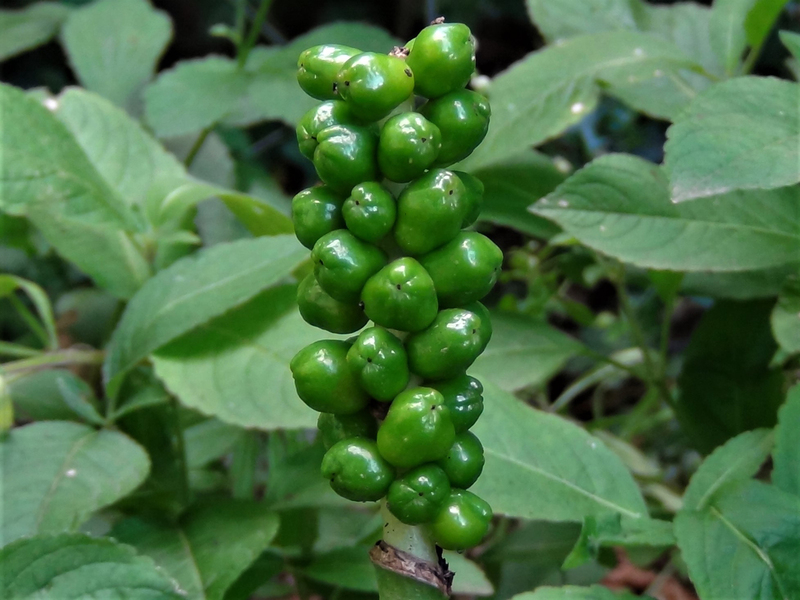 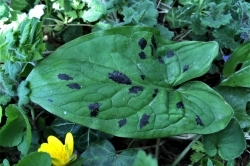 While Arum was used in the past for treating various maladies it is best left alone due to the oxalate crystals present in all parts of this plant. 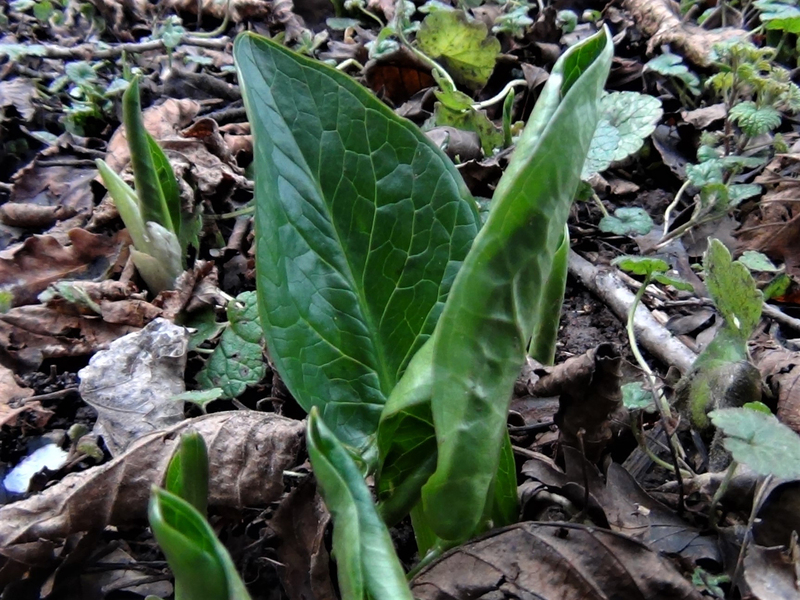 The most common upset with Lords and Ladies is if somebody uses the leaves as woodland toilet paper, a mistake they will only make once! 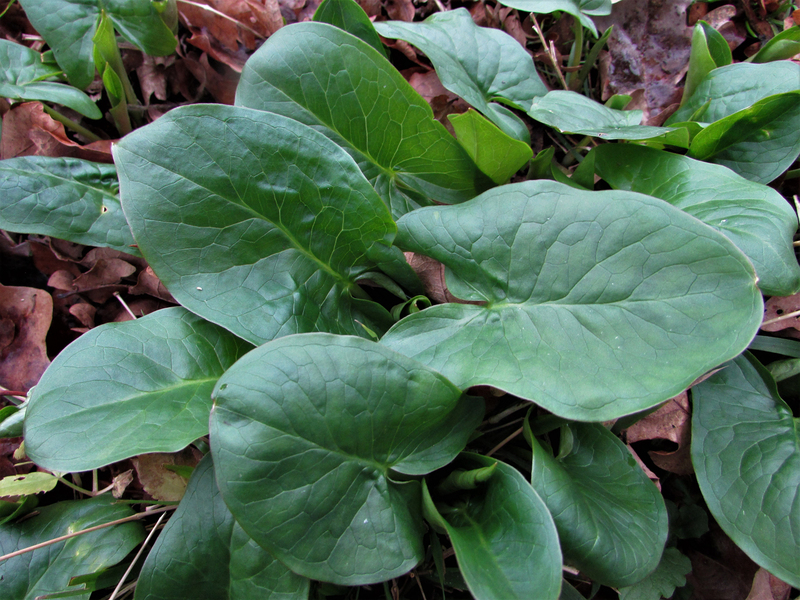 The root was used to make Portland sago which was used as a substitute for arrowroot, (a thickener), or made into saloop, a popular drink amoungst the masses before the general introduction of tea and coffee. 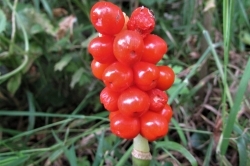 The root needs careful and thorough processing before it can be consumed.